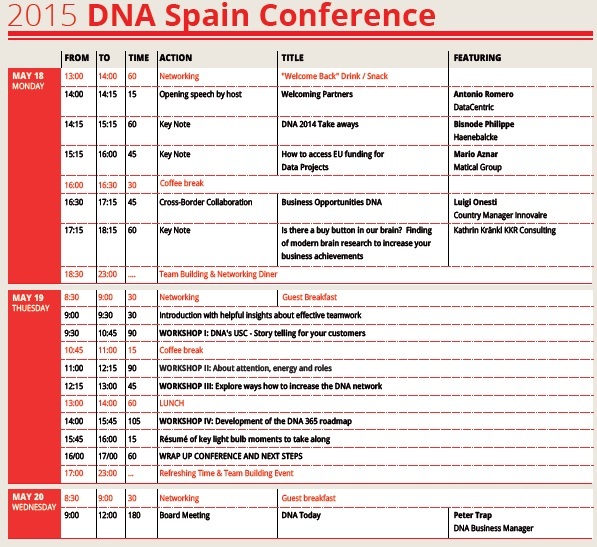 This year, DNA (Database Network Associates) held the International Conference for its partners, in Spain. The host, DataCentric, welcomed its international counterparts at the installations of EUROFORUM Infantes, in the unbeatable setting of San Lorenzo del Escorial. DNA groups together the main actors from the sector of Database Marketing Services Providers and Data Providers at a European level. Thanks to this Association it is possible to make the best combined use of its solid networking experience and benefit from an access route to profitable data qualification solutions, as well as insight into the latest generation of consumers. An efficient way to reach European prospects and grow in an international setting.